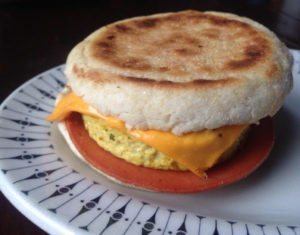 I found this recipe on Smitten Kitchen, and I really enjoyed it. 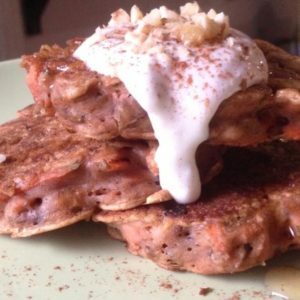 They’re a great easter breakfast, not too sweet and the topping is super tasty. the only thing I’d do differently is to grate the carrots finer than I did. 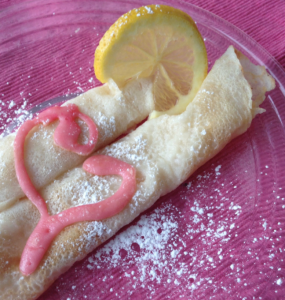 These Crêpes are quick and easy to make, and make for an adorably romantic breakfast in bed. 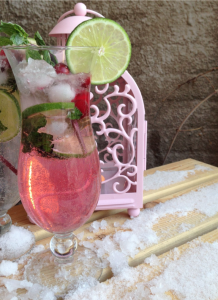 This is hands down, my new favourite summer cocktail. I’m not usually a fan of sodas or sweet drinks, so I was hesitant to try it at first, but I’m glad I did. 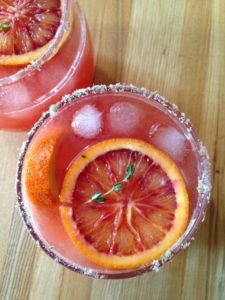 I LOVE tequila, and the earthiness of the thyme combined with the tart blood orange, makes it refreshing and delicious. I’m not even going to pretend this breakfast is healthy, because it’s not. I’m going to tell you the truth. It’s straight up junk food. And I love it.